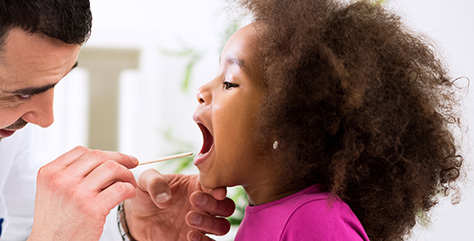 We recognize that you can’t plan ahead for when your child will be sick. That’s why we provide same-day sick visits Monday – Saturday including many weekday evenings. If your child is sick and needs to be seen in our office, please call us for an appointment or come to Walk-In Sick Hour. Sick visits are scheduled on the day the appointment is needed or one day in advance. To schedule a sick visit please call our office starting at 7:30 am at (724) 325-2133. We are here to help 24/7. Call us night or day if your child is sick and you are concerned. Please try to avoid urgent care centers. Most do not have providers that are specifically trained in pediatrics and we strongly believe that your child will receive the best care from the providers that you already know and trust. Walk-In Sick Hour is now year-round! Walk-In Sick Hour will be held Monday-Friday, (excluding holidays) from 8 AM – 9 AM at our Monroeville Office. Children must be older than 4 months of age. Symptoms lasting less than 3 days. Routine health problems only, such as sore throat, ear ache, cough, fever, rash, runny or stuffy nose. Patients seen on first come, first serve basis. If your child has never been seen in our office, please call to schedule an initial sick visit. Because of the extra, more time-consuming care they require, children younger than 4 months of age, those with symptoms longer than 3 days, and/or with chronic or complex health problems (such as asthma, headaches, stomach aches) can not be seen during Walk-In Sick Hour. For these cases, please call one of our offices to schedule an appointment.